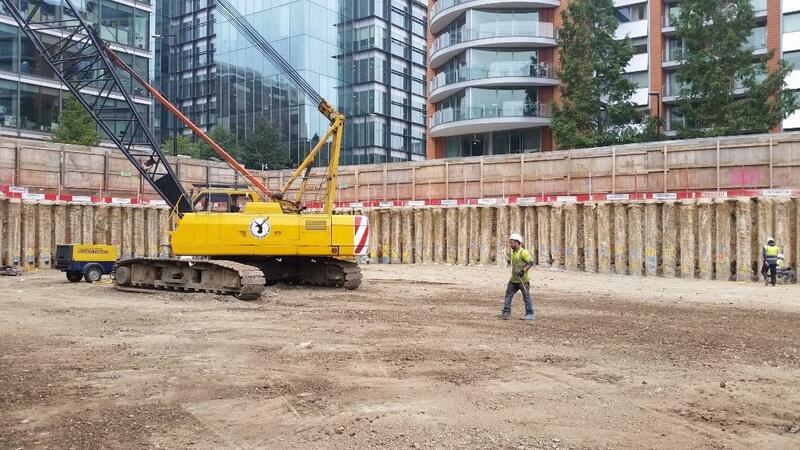 Anchor Systems (International) Ltd (ASIL) were contacted by J-Reddington Group to design a mechanical anchoring system for North wharf gardens. 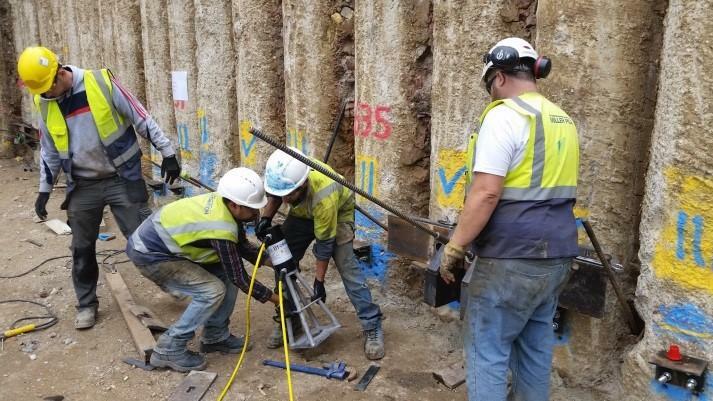 The contiguous piling design was part of the Five star hotel groundwork’s solution which is part of the wider mixed use scheme including 335 homes, affordable business, retail and social and community spaces, including a new primary school, serviced apartments and a gym. 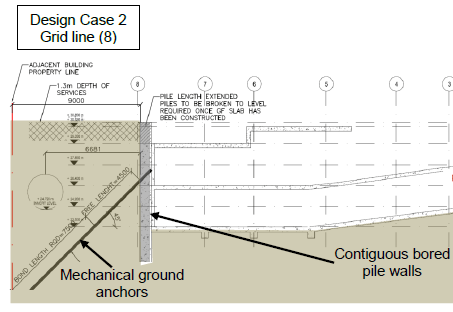 ASIL in recommending the retaining system to counteract the bearing pressure on the walls, had to consider the existing Thames water services that are running adjacent to build area. ASIL also had to prove that the ground anchor system did not have a detrimental impact on the service pipes as a result of installing and loading the system. 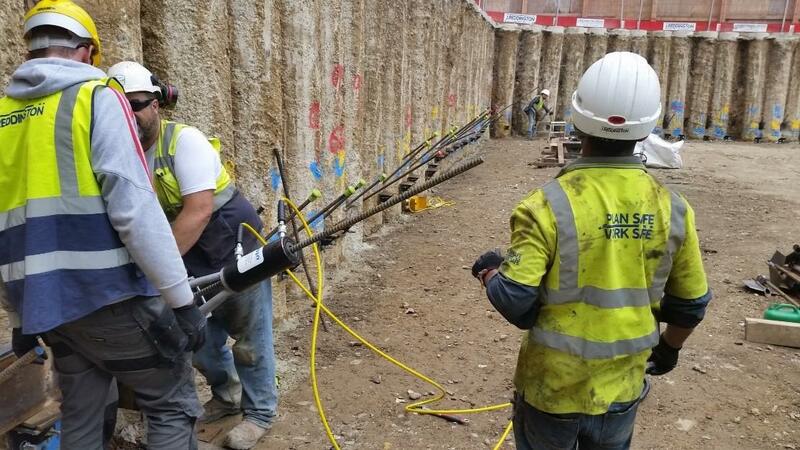 ASIL were engaged by Miller Piling to work with J Reddington to provide a design for the ground anchor solution. We also provided calculations to support the fact that there would be no detrimental impact to local services. 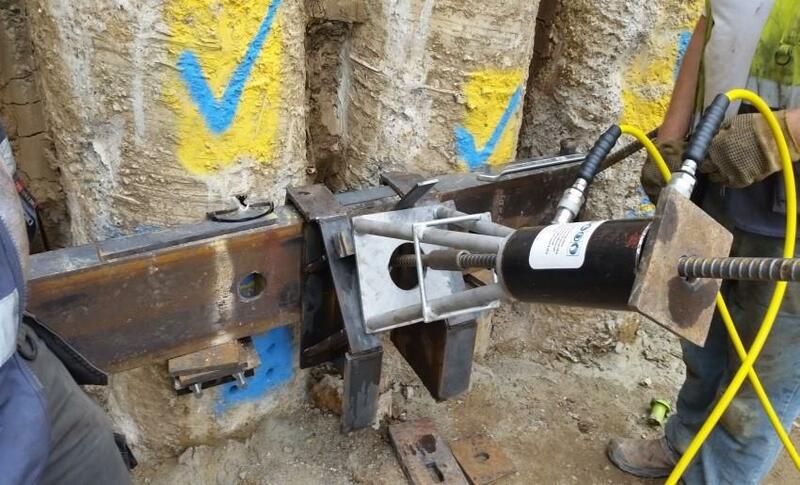 In the development of the ground anchor design an innovative whaler beam solution was used to distribute the anchor loads across the contiguous piled wall. 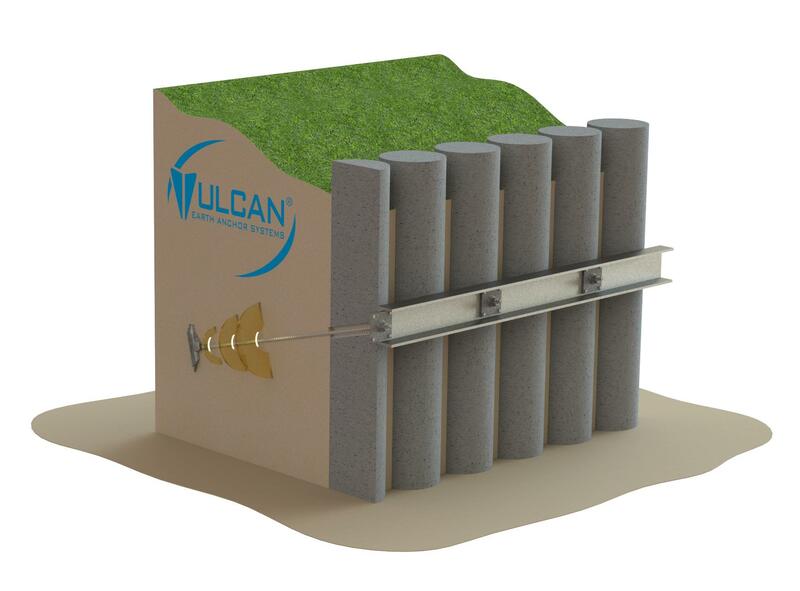 This innovation created the understanding that a designed capping beam (est. £150k) was no longer required. 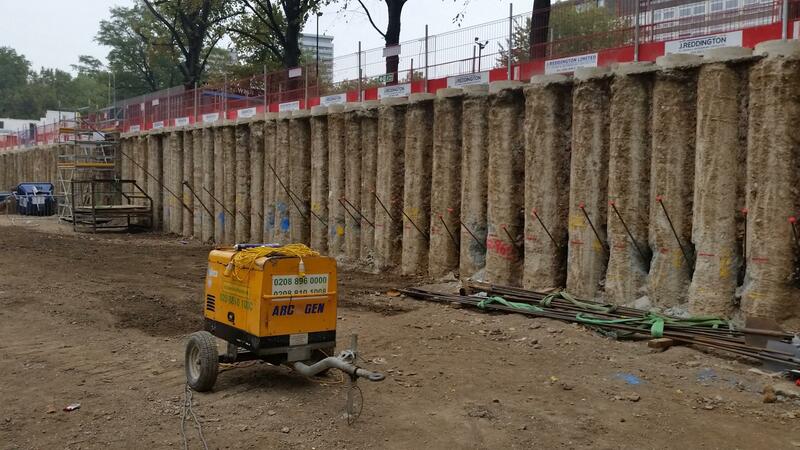 ASIL performed a site test to determine the localised soil mechanics failure condition. The AS-300 Ground Anchor was tensile tested to 224kN Ultimate Resistance based on the design and a lock off load (working load) of 157kN. The AS-300 ground anchors were installed to depths of 7-12m and average installation time was between 20-30 minutes using a 20 ton excavator. During the construction phase ASIL intermittently provided a site supervisory service to ensure that the construction of the grounds anchors were being completed to the design statement and installation methodology. Our involvement in this process ensured an unimpeded installation and subsequent working relationship with all parties.